Milk produced per cow per milking session is the minimum daily record to be taken, as accurately as possible and in units of volume or weight. For hand-milking farmers, a scale with a hook to hang the milk bucket’s handle onto does the job nicely. Milking machines yield the same information using in-line flow meters, graduated glass milk flasks, or by weighing the contents of collection vessels after milking each cow. Figures should then be recorded in a book or ledger (or on a slate to be transcribed into a ledger later) to maintain accuracy. From daily milk yield figures flow other statistics, which are very useful management tools, such as lactation periods, dry periods, yields over successive lactations, and cow-to-cow performance comparisons, to name just a few. Cow servicing records. The next piece of vital information for dairy farmers is when a cow is serviced, either naturally or artificially, and the resulting success (or failure) of the procedure. The ideal lactation period is 300 days with around 8-10 weeks dry, to ensure optimum cow comfort and longevity. Daily milk records can assist the farmer to know when to service the cow and when to dry her off prior to the birth of her next calf. Not all cows are easy to impregnate, and records over multiple lactations can assist farmers to make decisions on how best to handle certain cows, or whether to remove them from the herd altogether. Cow health records. If cows require medication, particularly antibiotics, this will mean that for a few days after the last dose, medicine residues will appear in their milk. Consumers are a savvy lot these days, and will not knowingly purchase contaminated milk. 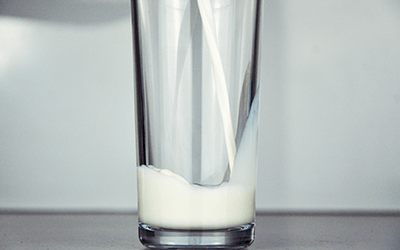 Antibiotic residues have a negative effect on cultures used for yoghurt and cheese making, so for the time spent under medication, including a period of at least 3 days after the final dose, milk from the cow must be discarded. Recording information such as cow symptoms, vet’s diagnoses and medicines prescribed in the daily yield book can assist the farmer to pick up possible trends, as well as a reminder of action taken for future reference if necessary. 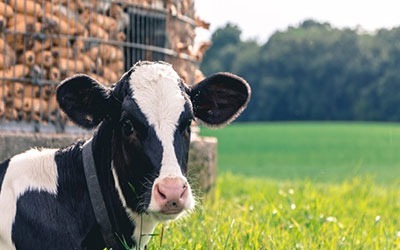 As a management tool, the records can help to lessen the economic impact on the farm, particularly for certified organic dairy farms, which have to discard contaminated milk for 10 days after medication. Cow fodder and concentrate intake. Feed concentrates are essential for successful dairy cow management but are subject to price swings, which directly affect the profitability of the farm. 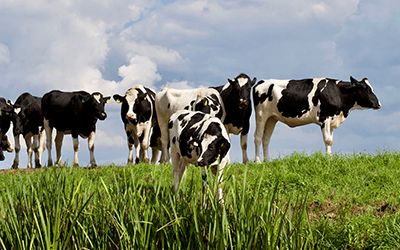 Naturally occurring fodder should form the bulk of any dairy cow’s diet, but its availability and constituent breakdown will also vary depending on the season and location. A balance needs to be struck between fodder and concentrates for optimum farm profitability, and accurate records of cow intake related to milk yields over time will be of great assistance to the dairy farmer. Statistics of this nature become more valuable the longer they are recorded and trends over 5, 6 or even 7 lactations provide much information to make the dairy farmer’s life easier. Spreadsheets are becoming more common as tools to process daily data, even in traditionally poor rural areas, and are especially useful when analysing information drawn over long periods. To get the most out of figures stretching over 5 to 10 years, a digital spreadsheet coupled with a basic understanding of data manipulation is almost mandatory, especially for farms with more than 20 cows in milk. It’s a truism in dairy farming that in order to look ahead, one has to be able to look back, an impossible task without the daily discipline of record keeping.